Le Festival is a not-for-profit association and would not be the fabulous festival it is today, without the help of our 300+ lovely volunteers. 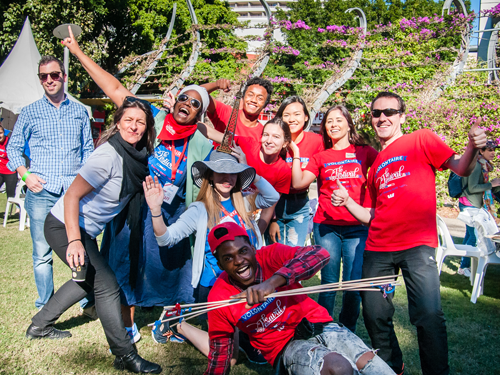 We would love for you to join the fun and help us to make Le Festival 2019 a wonderful and unforgettable edition. 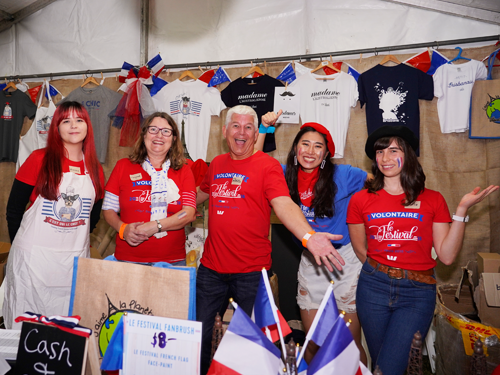 Let us show Brisbane the power of French communities that can join forces and put together a festival celebrating all things French. If you’re passionate about photography, arts, culture, food, entertainment, children’s activities, wine and champagne, or just absolutely love the French culture, then we’d love to hear from you and have you on board! If you are a former volunteer, a very warm welcome back to you, and merci! Le Festival's Volunteer T-Shirt - They have now become collectables. A FREE entry to the event. 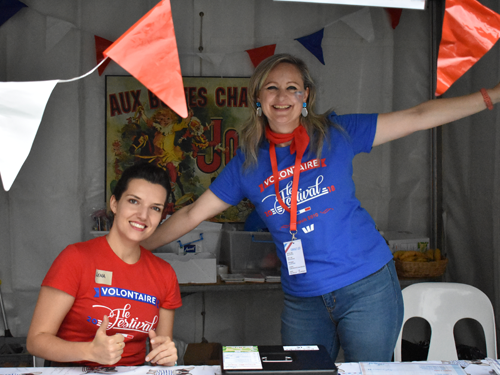 The biggest French festival in Australia. A meal voucher to collect your French Baguette sandwich with cheese. A lot of recognition from all of us. NB: You don’t have to speak French to volunteer! Please note when registering, the system will only accept one volunteer per email address. Also we only accept volunteers 18+. Thank you again to all the volunteers of the previous editions!